When a film features Varun Dhawan and Anushka Sharma in the lead roles, one would expect a hard-core commercial 'masala' entertainer score in there. 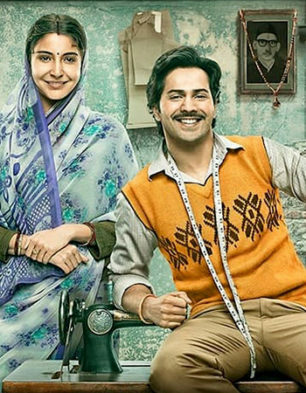 However the promo of Sui Dhaaga - Made In India has pretty much established that this one is a rather offbeat affair with both the superstars playing rustic characters from the interiors of the country. Hence, one keeps the expectations too in check for this soundtrack that has all the songs written by Varun Grover. That said, with Anu Malik as the composer, one just hopes that there is a surprise or two in store. It's a brief 'alaap' by newcomer Ronkini Gupta that starts the proceedings for 'Chaav Laaga'. Soon enough Papon begins his rendition and from there on it is the pairing of these two singers that takes forward this song. A slow moving number that aims at taking the melodious route, 'Chaav Laaga' is simple and effective, though not the kind that promises a chartbuster appeal. Papon goes solo for 'Khatar Patar' and this one has lyrics that bring in various elements of tailoring into the journey of life. Though the song tries to be all philosophical while trying to bring in many a metaphor into play, it actually turns out to be rather dull. Yes, Papon's voice is indeed different but somehow one misses some sort of energy that could have possibly elevated this song to some extent. By the time Ronkini Gupta begins her rendition for 'Tu Hi Aham', you get an idea that the music of Sui Dhaaga - Made In India wasn't really put together for commercial gains. In terms of being dull, this one further takes the cake. Worse, it turns out to be pretty boring too and one begins to wonder how audiences in 2018 would actually be able to sit through the song unless the visuals on screen are really arresting. There is no respite whatsoever as the soundtrack doesn't really elevate, as evidenced in Divya Kumar sung title song 'Sui Dhaaga'. On the same lines as 'Khatar Patar', this one too just about passes muster and one wonders if there would be something better in store once Varun Grover and Anu Malik written 'Sab Badhiya Hai' comes in next. Well, strictly from comparative standpoint, this one at least aims to find a commercial audience for itself. That said, even though Sukhwinder Singh brings in the kind of energy that is expected out of him, the song by itself isn't the kind that would lead to several repeat hearing. A 'desi' number which has its roots in the interiors, it is the kind of number that could well attract some sort of audiences in the U.P.-Bihar zone. 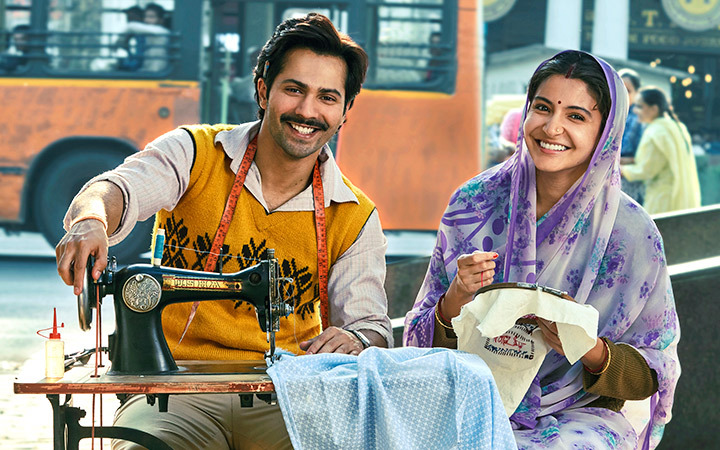 The soundtrack of Sui Dhaaga - Made In India is largely disappointing with just a song or two somewhat making a fair impression.